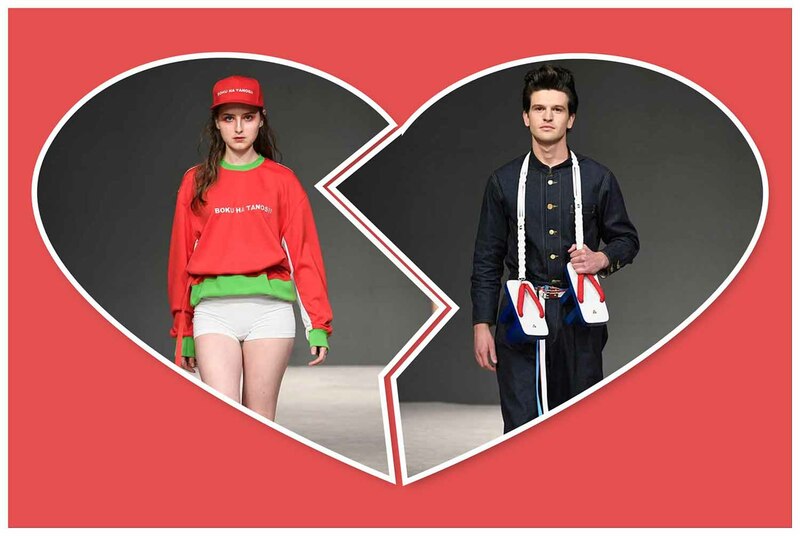 Japanese brand THE MONGOLIAN CHOPPSSS showcased a quirky unisex collection for SS19. The collection theme ‘Precious Love’ was expressed through positive messages such as ‘I am happy’ (in Japanese) and ‘Happy Sushi’ creating a fun feel. Camo print, oversized patch pockets, and long fluoro green socks made for carefree styling. A key look for men- a casual sweater featuring rainbow color blocking paired with grey shorts. A youthful line disseminating fun or ‘TANOSII’ for all to see to close the night with color and happiness.